Happy National Dog Day! 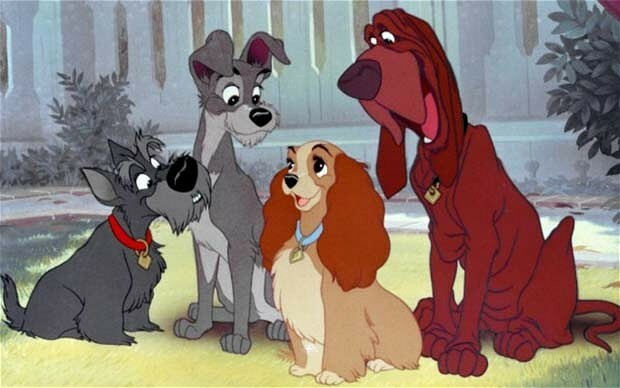 One of our favorite dog movies is the Disney classic “Lady and the Tramp.” It features not just lovable cocker spaniel Lady and dashing mutt Tramp, but a wonderful line-up of all dog breeds, including Jock the Scottish Terrier (who has a Scottish accent, naturally) and Trusty the Bloodhound. 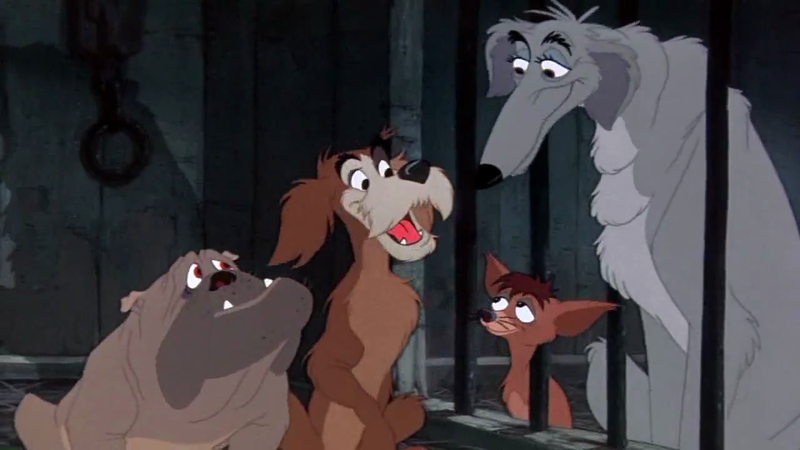 When Lady is captured by the dogcatcher, she meets several other imprisoned dogs: Boris the Borzoi (who has a Russian accent), Pedro the Chihuahua, Bull the Bulldog, and Dachsie the Dachshund. And who can forget Peg, the dog who sings “He’s a Tramp”? She’s voiced by jazz singer Peggy Lee and, depending on the source, is either a Pekingese or a Shi-Tzu Maltese mix. Either way, she was drawn to resemble Lee’s trademark hairstyle with one eye always covered by a swoop of hair. Enjoy National Dog Day and give your favorite dog a hug and a treat!